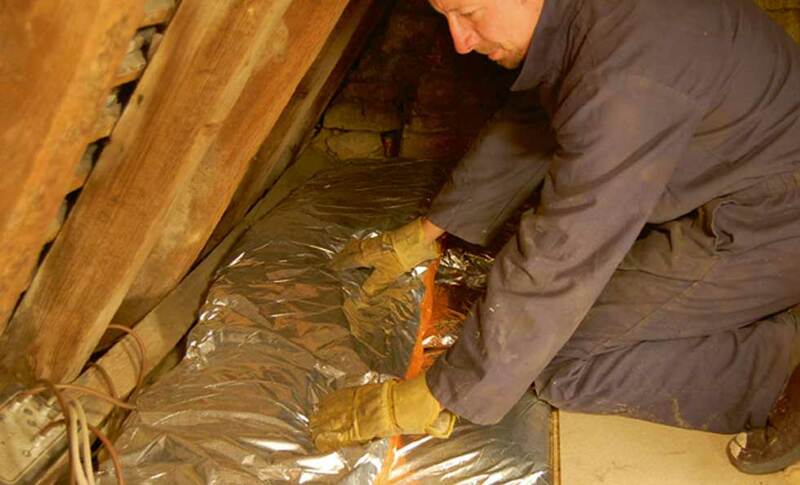 If your loft is uninsulated, then address this job as a priority — it’s one of the best ways to keep your home warm. Providing you have no condensation or damp issues and your loft is accessible, this should be a job you can carry out on a DIY basis. Most people choose to insulate using insulation ‘quilts’ made from glass, mineral wool or natural wool — a depth of 270mm should be aimed for. If your loft is hard to access, you may need to go for blown insulation – mineral wool or cellulose – which is a job best left to the professionals. Quilts should be laid between the joists in the loft, with another layer at right angles to the joists. If you wish to use the loft for storage, you will need to lay floorboards backed with insulation over those between the joists. Flat roofs can also be insulated. Renewing the waterproof covering provides the ideal time to add insulation externally, using boarding backed with insulative materials. Internally, insulation-backed boards can again be installed. Finally, ensure the now cooler air in the loft does not cause draughts by buying an insulated loft hatch and placing draughtexcluding strips around the edges. 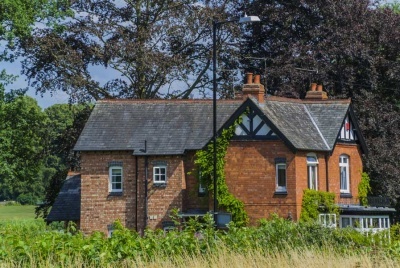 When it comes to walls, if your house was built prior to 1920, it is likely to have solid walls — whereas most houses constructed post-1920 will have cavity walls. Insulating cavity walls can save you around £115 on fuel bills, according to the Energy Saving Trust (EST), as well as reduce condensation. As long as your brickwork is in good condition and the cavity between your walls is at least 50mm wide, then insulating them should not be a problem. Installing insulation into cavity walls is the remit of a qualified installer — for whom it should be a simple and not particularly messy job, typically taking no longer than a couple of hours. If you have solid walls, insulating them will save you around £400 a year on your fuel bills. This is a job best done when you are replastering. Solid walls can be insulated internally or externally. Internal wall insulation is the cheaper option and will not affect the exterior appearance of the house, although it will reduce room size a little (the thickness of the insulation is usually around 100mm). It can be applied in two ways. 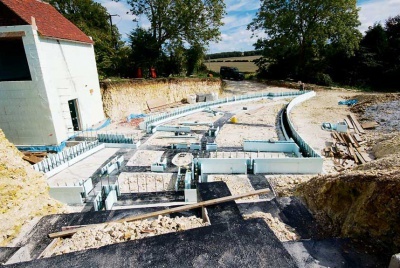 The first is using rigid insulation boards — plasterboard backed with rigid insulation is fitted to the wall (it should be at least 60mm thick). The second involves the construction of a stud wall, whereby a timber or metal studwork frame is attached to the wall and filled with insulation before being plastered. To increase your home’s ability to hold onto heat even more, the new stud walls can be covered over with rigid insulation boards before plastering. External insulation may require planning permission, but protects the brickwork, reduces condensation, and helps prevent damp. 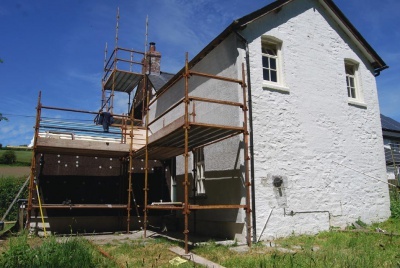 A layer of insulation is fixed to the walls then covered with render or cladding. Areas around windows and doors must also be insulated to prevent condensation. There is no question that original period windows look fantastic but they are also notoriously draughty. If you have the original glass, it is likely to be very thin compared to today’s standards; frames may have warped letting cold air in, too. There are plenty of ways to overcome these problems without replacing them with inappropriately modern windows. If you have sash windows, get a specialist in who will be able to remove your sashes and fit them with recessed brush strips. They will also be able to replace any missing putty and could even replace thin glass. For other types of timber window, it is simple to fit draught strips – either brush or self-adhesive rubber strips – on a DIY basis. Use an acrylic sealant or decorator’s caulk to fill gaps around window frames — and never underestimate the effectiveness of thick, heavy curtains. There is a range of draught excluders for doors, plus complete draught-proofing sets for both internal and external doors. The simplest solution is to use a self-adhesive foam strip. Use a vinyl-coated polyurethane, rubber or PVC foam strip for external doors, or just a polyurethane foam strip for internal. If the gaps in your door are irregular, a V-shaped strip will be best. Alternatively, use a sprung strip – metal or plastic – pinned to the rebates of the frame. If your home has the old-style seam-top single-pressed panel radiators, it will be worthwhile upgrading them to a more modern radiator with fins. These give a greater surface area and greater heat output. Radiators should be placed against internal walls and not covered by curtains. If a radiator is fitted to an external wall, put reflective insulation panels behind. Swapping an old boiler for an A-rated high-efficiency condensing boiler will make a big difference to your heating bills. This type of boiler recovers as much waste heat as possible — heat that is wasted from the flue of a conventional boiler. High-efficiency condensing boilers convert at least 86% of their fuel into heat, as opposed to around 65% for old G-rated boilers. The scrappage scheme that was being offered is now closed in England, but is still available in Wales. Some companies, however, are continuing to offer reductions on new boiler installations. More information on these discounts can be found at boilerscrappagescheme.co.uk.